Crossroads is proud to present, for your entertainment, the Chaos challenge! Get assigned a random photo/story prompt and execute it in whichever way amuses you using the mediums of photo, writing, or both! To sign up for the Chaos challenge you will post in the chatter thread, and I will use the photo/story gizmo to create a prompt for you to base your entry on. Entries must be created for this challenge, no content created prior to this challenge may be entered. Entries must be created by the entrant. Entries should follow the spirit of the prompt, at least, but it is not necessary to obey them to the letter. Editing is allowed but will not effect results. Members may enter as many times as they like but they must complete and submit an entry before being given the prompt for another one. Entries will be judged by a panel of judges each picking their favourite entries. The number of judge favourites is expected to be about half the total number of entries. Scorecards will not be provided but judge's comments may be included. There will be no classes, classes will not be split. Prompt: Xi Li's Horse is ridden with the stable hand and doesn't have the skill required. Don't let this small posture and big eyes trick you. Astrid is one of those mares that will make you think if you really want to sit on their back. Unless they are in good mood, then they are absolutely safe to ride and will even willingly move. Negotiating with her can be painful, sometimes even threatening her that she will end as dog food doesn't seem to work. On the other side of the conflict, we have a stable hand (a professional poopscooper) with stable hands (a no-no for pulling) with work to do, a bit of courage and medical insurance. First few minutes of the lesson were suspiciously easy, as if she was waiting for a perfect timing to strike - yes she was! The moment someone called over to ask where the damn new pink striped wraps were (I don't know where they are, ask someone who actually uses them) she struck. Two short, but shameless bucks in addition to few steps of gallop (and normally she pretends she can't) and quick change of direction would an unfocused and not very experienced rider go flying. Today she didn't have the skills required to be nice. But just a few minutes after the ride she decided to change, leaving her old identity behind. Now she behaved like a mellow, tired pony on pasture, just as if she forgot what she did. Is that a treat in your pocket? The important question for today - who took the wraps? Who would even use them? Even gusy from CSI - Criminal Minds cannot solve this mystery. Prompt: ""Marc Sander's Horse is lose with a beginner rider and tries their best."" It was a beautiful fall day at Galileo Stud. Chirping birds, a couple deer grazing near by in the pasture and the horses demanding their breakfast. Dallas was itching for a day like this so her and Emery could go for a trail ride. They talked about where they would go while they each fed one side of the barn, that was when Zoey came in for the day. 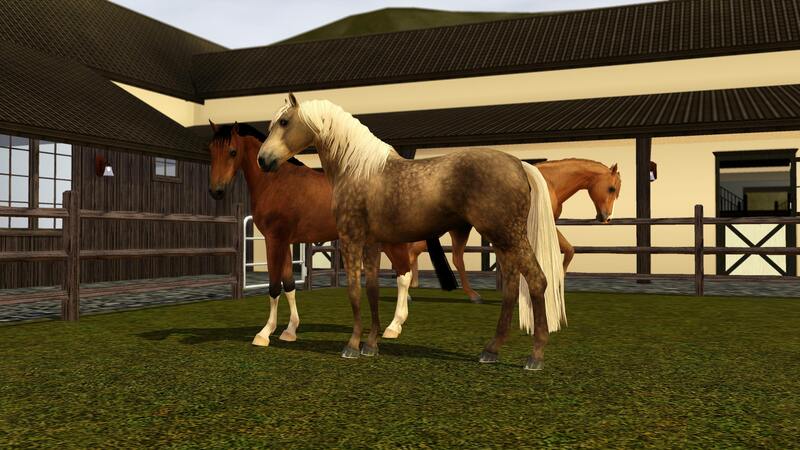 Now, Zoey is still new to the stable, and only here because the local Juvi. Center said it was her last hope before being locked up in a small cell for the next 25 years. She had "ridden" before when she was younger, come to find out she rode stock horses on her grand fathers ranch in Nevada from time to time and most were so old nothing would spook them. So...her job was to clean the stables, move horses from the pastures to their stalls and vice versa, and clean the tack. Dallas was in the process of teaching her how to ride but only on the more laid back horses at Galileo. "Hey, can I join you two?" Zoey asked with a hopeful look on her face. I wanted to say no, I really did because the horse she was used to riding was down for the day due to a thrown shoe. 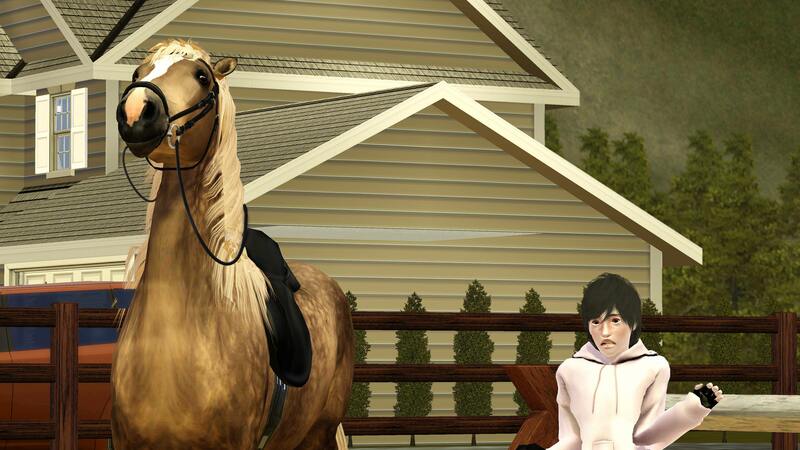 "I don't know Zoey, the only horse that isn't training today or being riden by us is Deja and Magic." Deja was still learning herself as an endurance horse and was high strung, not to mention wasn't to keen on Zoey's loud mouth and hard hands and Magic...well Magic was Brightside's son and a high strung stud horse that even my best rider had a hard time riding. "I can ride Magic! He leads just fine for me! Lets me groom him! Even do his hooves and give him a bath! He's a goodboy for me!" She was acting like an excited child and it was annoying to me today. "Fine. But if you go over a slow relaxed walk with him or do anything stupid you will work the manure pile for the next month and not see the world from in the saddle for a long time unless its on the old plow pony we have as a pasture mate to the youngsters!" I glared hard at the 16 year old standing before me. Then she jumped up and squealed like a cheerleader who I was just asked to prom by the quarterback, something I never understood most girls doing over guys but to each their own. I watched her go to get Magic's gear and rolled my eyes at her stupid tennis shoes she insisted on wearing recently over the riding boots I had bought..."Dumb" was all I could think. Emery and I got AKS The Cats Meow & Fae's Fauna from their stalls and started to brush them down and get them ready for a ride, all the while I kept looking down the way as Magic stood there chewing on what I could only assume was the carrot Zoey had given him while he got tacked and brushed down as well. 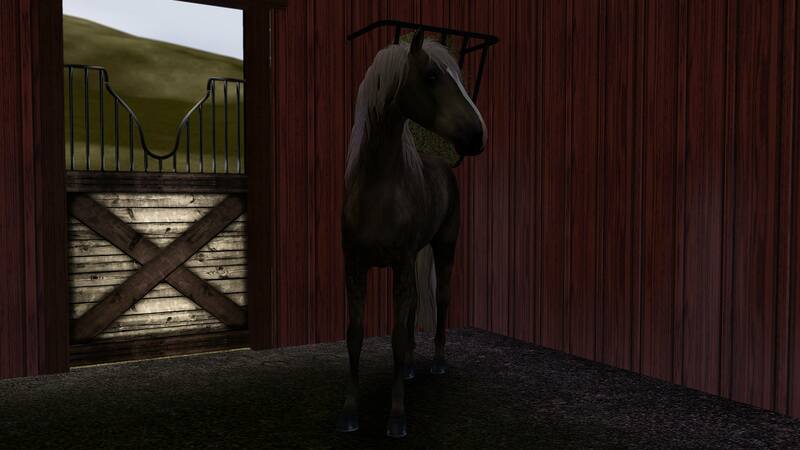 Emery and I talked while we worked and I glared as Zoey tried to walk out of the barn with Magic before we did. She stopped and waited....and waited. Finally we all set out. We rode ahead of Zoey and Magic thinking that might help keep everyone in line and through this ride without any mishaps, man was I wrong! I had told her before we ever left to turn down her stupid cell phone or even leave it behind! Did she listen?! Nope! Out of no where the lyrics "Let The Bodies Hit The Floor" started growling from behind us, a moment later we heard a series of curse words and the thundering of hooves...I looked back and there went Magic with Zoey screaming at the top of her lungs. He...was finding this amusing! Damnit Magic" His tail was high, ears forward and that spark in his eye. They were long gone! 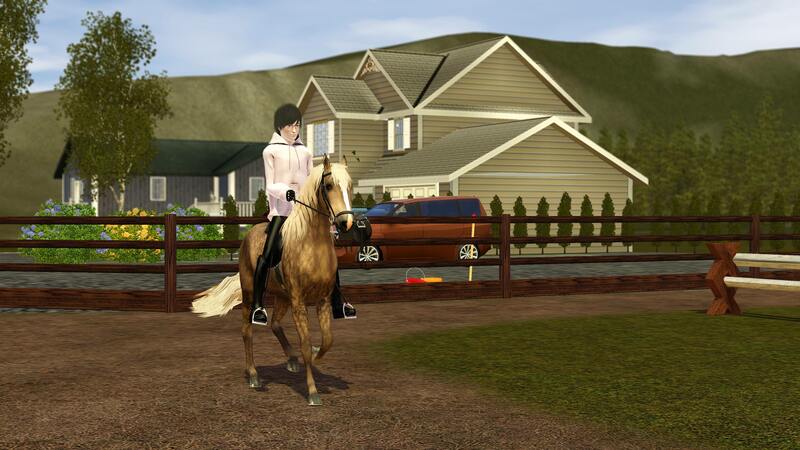 Emery quickly rode back to the barn to get Deja and I trailed after Dumb and Dumber muttering curses the entire way. "You had no right to have the volume up that loud when we were out here! Not to mention on Magic who anything loud makes him go nutso on whoever is on his back and play lets see how long this one will last! You will do barn chores for the next 4 weeks. No lessons, no contact with the horses NOTHING! This includes cleaning the pastures of manure and weeds they can't have, this includes washing every single bit, bridle, and saddle on the property. " I kept listing off her new chore list as Emery came up laughing at my rantings. 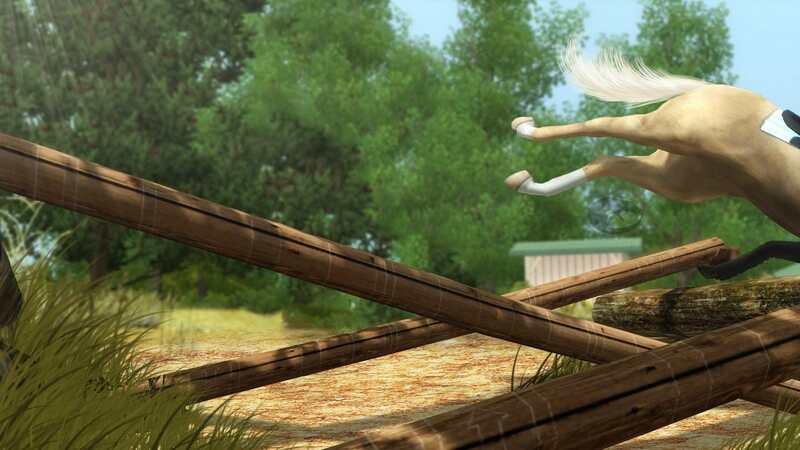 Prompt: "Kody Böhming's Horse gives a lesson alone and decides to leap." Sometimes you can try your best but it just doesnt work out. Spoken For is a new mare at OtterCreekStables and Viktor shall be her new rider. And for ever new team tehre is the first time. Both really fit well together, no doubt, but I've never seen Viktor fall before, it was just to funny (and scary). 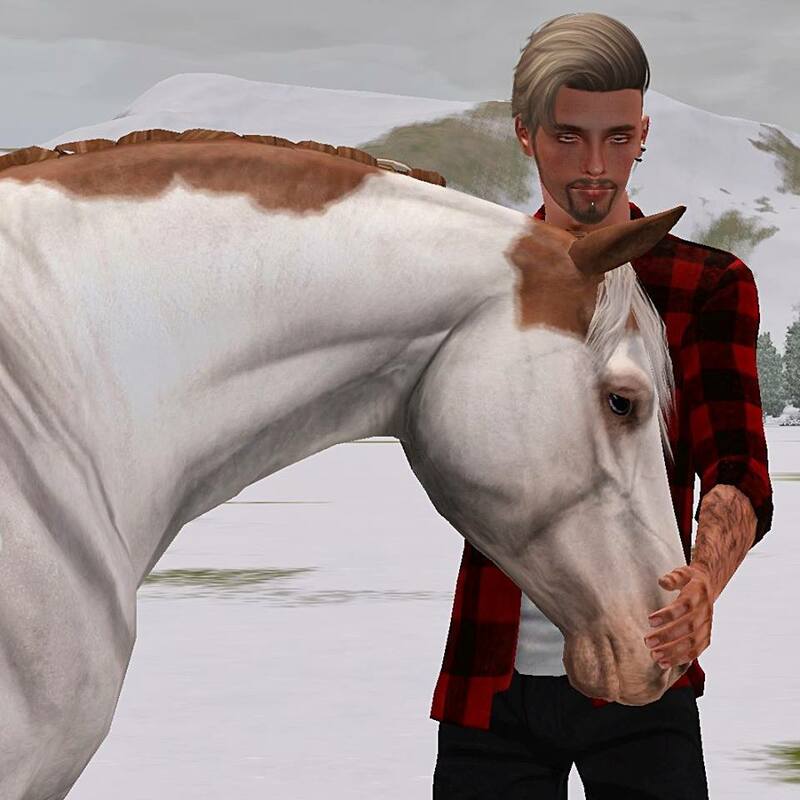 After Lunch he had planned the first ride with Spoken For, as expected for Vitja, he wanted to occupy the Mountain Trail Training lot. Just the day before we cleaned it and did some garden work to have it ridable again after the dry, hot summer that burned all our plants to death. But anyways, he does what he needs to. I for once had a day off and thought, "Why not watch him a bit," and followed him over. Most of it went surprisingly well for the new team, walking through water, over the bridge, the narrow path and also the logs downwards. But they had a little intervention at the crosslog section. While Viktor was on to pet the palomino mare for her so far great work, Spoken For had locked her eyes on something else. And he couldnt react fast enough when the mare stiffened up to burst out into a sidejump over the log barriers on the side, right through the parcours, leaving the disoriented Rider on the floor. 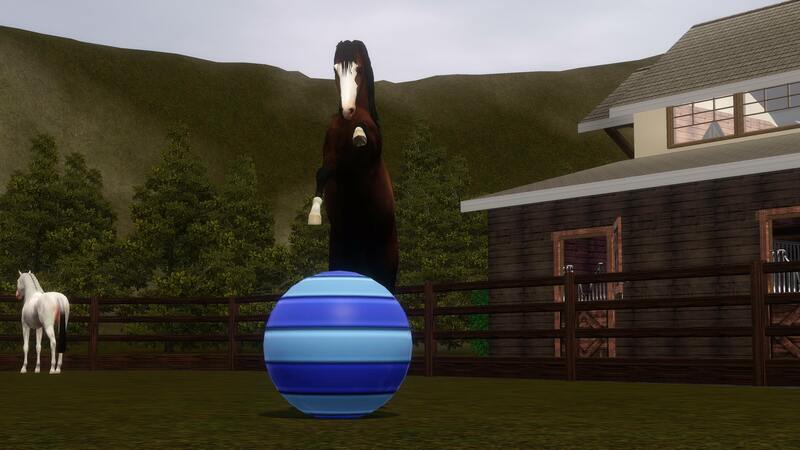 This time, the mare decided to take a leap. And Viktor learned a lesson: Always be aware at any times. Of course there must have been a reason for the sudden flight-reflexes of the mare, so after I helped Viktor up and we got the palomino to a hold we went on inspecting the obstacle. And we werent surprised what we found... a snake! Sure this mare had a big fear of rattle-snakes, but what do we say: Your always smarter afterwards. And we can say that this mare is really smart... can imagine what would've happened when that girl stepped over and got bitten by that snake... just arrived and already injured? No, not this girl. 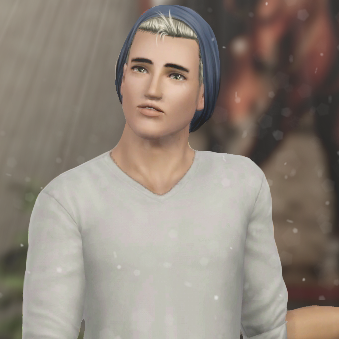 Luckyly Viktor only got one broken rib and nothing heavier... hes getting some rest from his daylie training and well, I have to take on his tasks now, with the help of Ada and Theodore. 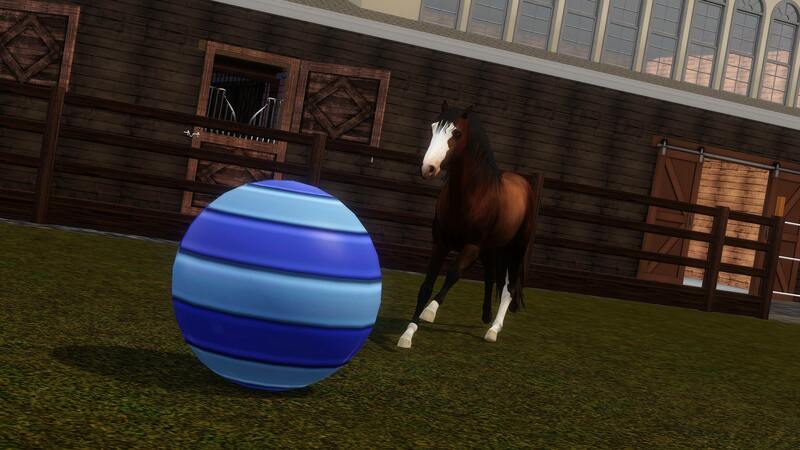 Prompt: Horse competes with a ball and feels happy over it. 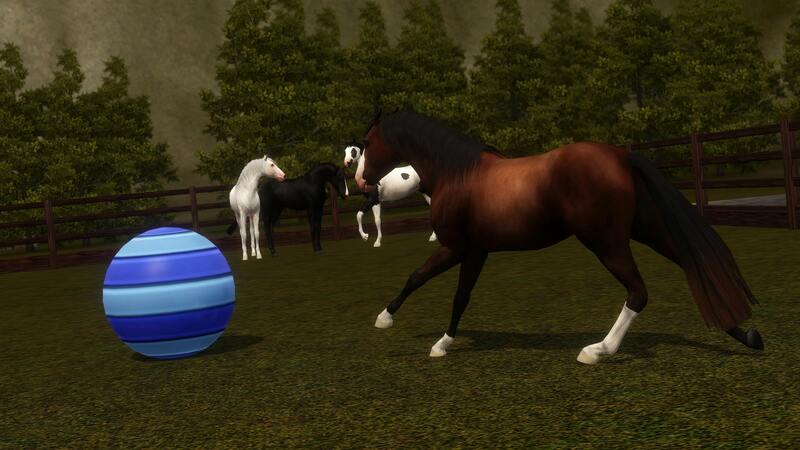 Story: Some horses just stay foals forever - I mean forever. Sock, 8 years and soon to be mom prefers to play. She doesn't understand why her paddock mates don't want to run around with her. So she picked a ball and feels perfectly and absolutely fine with it. Small steps to dominate the world - ball is first. Due to lack of entries, no judging will take place. However, all members involved will receive a 10k participation prize.